Price listed is for each necklace. 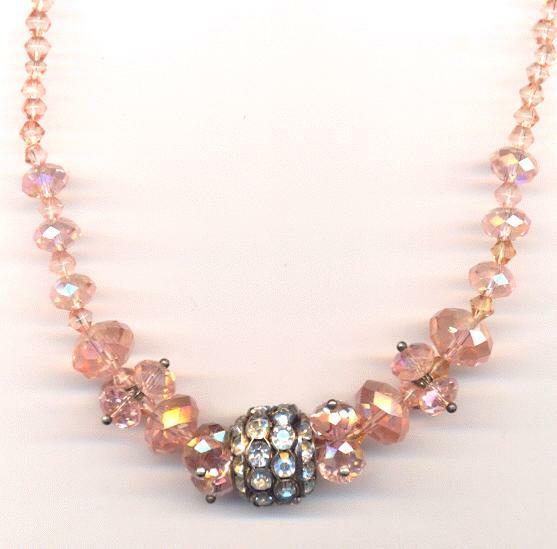 These necklaces measure approximately 18'' long with a 17.5mm clear rhinestone bead in the center. 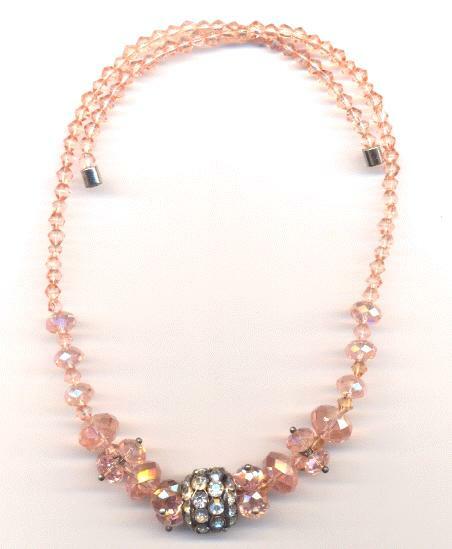 They are made with rosaline ab Chinese crystals and silver plated findings.